Chartered on May 3rd, 1956 the Chippewa Falls Lions Club is celebrating it's 60th year of service to the city of Chippewa Falls and surrounding communities here in beautiful west central Wisconsin. Northern Wisconsin State Fairgrounds has a new Lions food stand decorated for the 2015 Octoberfest celebration. 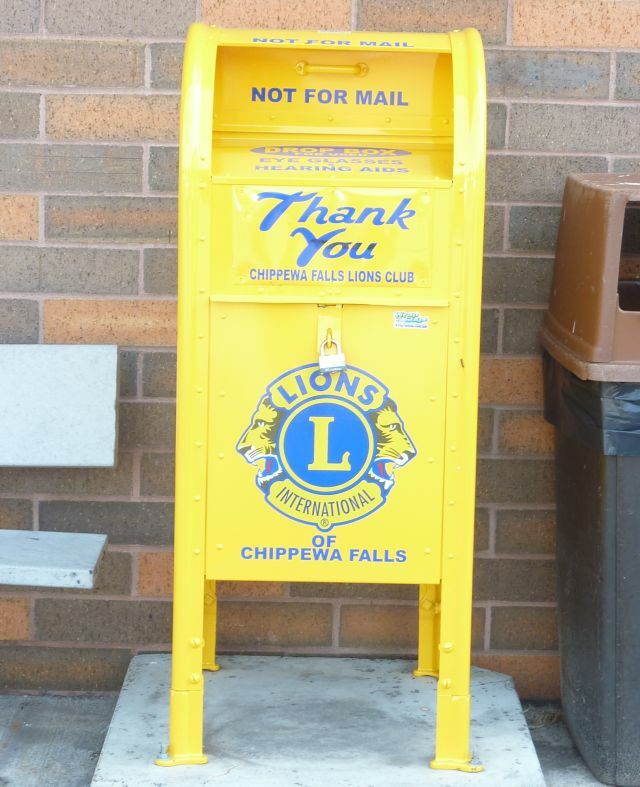 The Chippewa Falls Lions Club participates in the collection of eyeglasses in support of the Lions Club International Recycle for Sight program. All types of eyeglasses and sunglasses, prescription and non-presciption are acceptable for donation as well as used hearing aids. The donated glasses are delivered to the Wisconsin Lions Foundation regional eyeglass recycing center located in Rosholt, WI. There, they are cleaned, sorted, and prepared for distribution by Lions volunteers and other organizations hosting optical missions in developing countries where eye care is often unaffordable and inaccecsible. The club thanks the community for supporting the used eyeglass collection program and expresses our continuing appreciation to the above sites for serving as drop off sites.